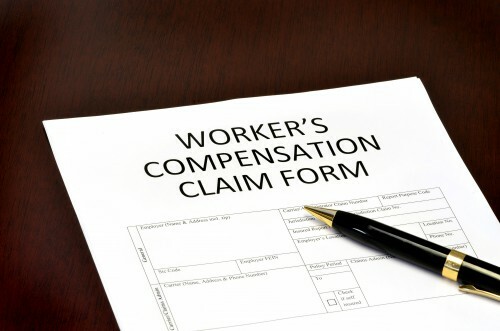 In the United States, Workers Compensation is given to those injured on the job in order to help them receive compensation for the injuries sustained and help them cover the medical costs. However, a lot of individuals abuses the system and tends to “fake” the injury in order to potentially receive workers compensation. Sometimes, this is done when no one is looking. Without proper evidence or eyewitnesses, it may be hard to prove that the injury did not take place at work premises. But employees are not the only one to blame. There are many cases where the employer was the one committing a fraud. Here are some signs that your workers compensation claim may be fake, and how to spot them. When you get hired, your employer may state that he or she has the workers compensation insurance, when in fact they don’t have one. Even if they show you the proof or place it somewhere where you or other employees can view it, it may be a fake certificate, made and printed specifically for the purpose of viewing. It will be hard to spot the deception until an accident occurs. It would be wise to consult with a Workers Compensation Attorney in Los Angeles and learn more about work comp deceits and frauds ahead of time. You never know who you are dealing with or who you are working for. Another common fraud is misclassification of workers. Basically, your employer may classify you or other workers as “independent contractors”, and thus lower his or her insurance premium. Your employer will be given a cheaper insurance plan, but in case of an injury, the employee will not receive the compensation he or she deserves. Instead, the employee will be given a lesser compensation and denied the full value of workers compensation. If this happened to you or someone you may know, contacting an experienced and knowledgeable Los Angeles Workers Compensation Attorney is essential. Only with their help will the injured individual be able to recover lost benefits and receive what he or she is owed. Your employer may also provide fake statements, lying about your injury and how it came to be. If your injury is determined as you being reckless (with your employer’s testimony), you could be denied the benefits you seek. Get an attorney the moment you receive an injury, and receive legal protection from all types of frauds and deceits.